DETROIT (AP) — The Oakland Athletics leaned on pitching, defense and Jed Lorie’s clutch hitting to overcome their lack of a long ball. 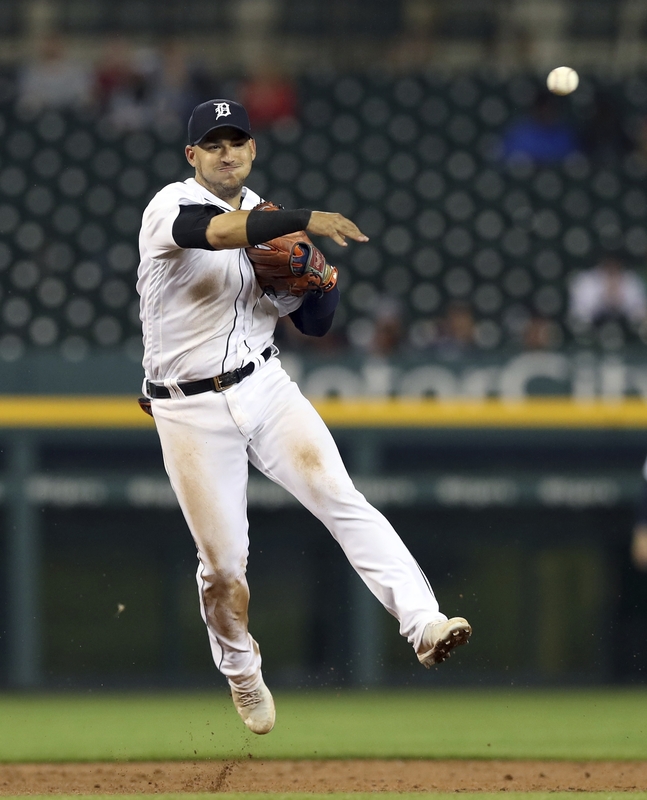 Lowrie hit an RBI double in the fourth inning and Chris Bassitt pitched six innings to help Oakland beat the Detroit Tigers 3-0 on Wednesday night. The A’s did not clear the fences, ending their major league-record streak at 27 road games. Detroit’s JaCoby Jones leaped to catch a ball Matt Olson sent over the wall in left in the second inning and Leonys Martin made a pair of catches deep in center field with his back to the plate. “Anywhere else those are home runs,” Melvin said. The right-hander expected to have control problems after being in multiple states in recent days. “I’m just racking up the frequent flier miles,” Bassitt said. Mike Fiers (5-5) allowed a run on five hits and one walk over seven innings as Detroit lost its eighth straight game. Joe Jimenez kept Detroit within a run in the eighth before the A’s gave themselves a bigger cushion against Alex Wilson. Josh Phegley and Dustin Fowler hit RBI doubles in the ninth off Wilson, putting Oakland ahead 3-0. The Tigers fired pitching coach Chris Bosio, saying he made insensitive comments to another employee of the team. The A’s put RHP Daniel Mengden on the 10-day DL, retroactive to June 25, with a sprained right foot and recalled Bassitt from Triple-A Nashville. Mengden (6-6) has started 16 games, tying LHP Sean Manaea for the team lead.